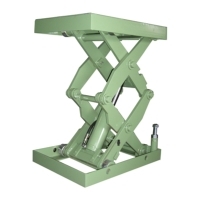 To reduce the staff bent extract, transport times, physical exertion, to facilitate improved efficiency, materials used in assembly line work, parts of the lift. The installation of anti-trap device, the staff has been cut to prevent hand-arm clip. Load factor of safety equipment to improve the body. Pole maintenance, machine maintenance to protect the staff, maintenance of safety at work. Voltage, current, pressure and other parts of the safety factor with a more general type of high.